With the motorcycle racing scene in the Philippines hitting its stride, BMW Motorrad is looking to be the choice of riders pushing the very limits with their new race-ready motorcycle, the HP4 Race. The HP4 Race is a faster, lighter and more dedicated machine, based on the S1000RR superbike.. The bike boasts of 215-hp produced by a factory racing inline-four engine built by hand. It also produces 120 Nm of torque at 10,000 rpm. It revs all the way to 14,500 rpm thanks to new components in the engine and powertrain. Its six-speed transmission features close-ratio gears. The bike is built over a full carbon fiber main frame, with metal bearing mounts and bolting points that are directly integrated in the carbon manufacturing process. This allows it save 3.9 kilograms over the standard aluminum frame. A rear frame/seat support is made of carbon fiber as well. It comes with a seat with height that can be raised or lowered. The wheels are also made of carbon fiber, using a “braiding” process. These wheels are 30 percent lighter than the forged aluminum wheels, with 40 percent less gyroscopic force. It’s supported by an Öhlins’ FGR 300 fork in front with an Öhlins TTX 36 GP shock with a fully aluminum swingarm. Naturally, every aspect of the bike is fully adjustable, from the swingarm height, steering head angle, to offset. The package even contains extra sprockets and chains in varying sizes and lengths. Finally, all the pertinent info to the rider is displayed on the dashboard that displays lap time, traction control setting, engine brake control setting, and more. The data recording system records lap times through GPS, and is designed to be used with additional sensors to measure brake pressure and suspension travel, which can be acquired as options. Despite being a race bike, it comes with electronics like Dynamic Traction Control (DTC) with adjustable ranges, Engine Brake (EBR) with adjustable ranges, and Wheelie Control also with adjustable ranges. Each of these systems can be tuned for each gear, allowing the bike to react differently depending on the speed. Launch control and a pit lane speed limiter are standard equipment, too. For interested parties, the BMW HP4 Race is offered at PhP 5.8M which includes support from a certified technician. The bike is limited to just 750 units. 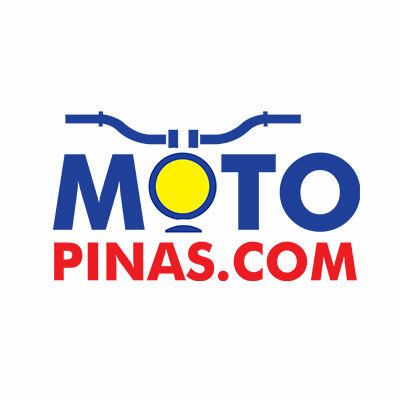 The MMDA is now strictly enforcing Motorcycle Lanes. The innermost lane of EDSA and C-5 can also be used by motorcycles during rush hours.